I’ve been to the O2 twice this year. The first time it was to relive my teens by singing all the words to Living On A Prayer at the top of my lungs and screaming like a schoolgirl whenever Jon Bon Jovi beamed a smile at me at the crowd. Last weekend it was to regress to toddlerdom by singing “Ombliboo Tombliboo, Knock on the Door” and cheering whenever Iggle Piggle tilted his massive bean shaped head at us. Ah what a colourful life parents live. We were given some tickets to see In the Night Garden Live at Meridian Gardens at London’s 02, and to be honest we weren’t entirely sure what to expect. After all, the TV show is a slightly trippy portrayal of a collection of characters getting ready for bed – it doesn’t sound like the most thrilling thing to see on stage. The children, however, got very excited about the idea of seeing Upsy Daisy in person, so we herded everyone onto the Jubilee Line and off we went. Our initial impression was that the show’s producers really know their audience. Rather than trying to cope with the cavernous area that is the O2, they’ve constructed a small purpose built baby friendly dome, with copious room for parking the buggies. From the outside, it looks like an enormous igloo – fitting as the venue for such a surreal show, but inside it feels like a cosy, intimate, and very relaxed space. The informal feel was just right for an outing with toddlers, and not being confined to a numbered seat can do wonders for putting a young child at ease. Our 3 year old has never really watched the TV show, but amazingly was completely enthralled; her eyes didn’t leave the stage even once. Our 2 year old went back and forth between being completed captivated by the performance and feeling nervous about the larger-than-life projections of toucans on the ceiling. There are two different shows, and the one we saw featured the adorable Makka Pakka toddling around looking for faces to wash. Not the most complex storyline, but it’s true to the TV show, and according to creator Andrew Davenport there is much more to it than simple face washing. All in all, I must admit I really enjoyed it. The set was beautiful, and I was simply fascinated by the way the characters themselves were brought to life using a very clever combination of skilful puppetry and actors in life-sized costumes. 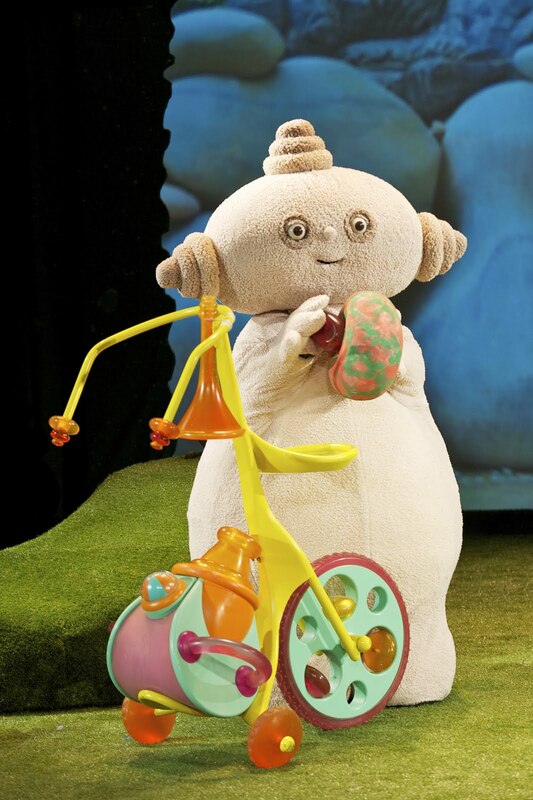 In fact it was done so well that it was very easy to forget that the characters weren’t real, and I found myself wanting to go and give Makka Pakka a big cuddle. There is also some very soothing in watching these magical creatures ambling about being nice to each other, and that’s a great vibe to experience with your children. In the Night Garden Live is a wonderful escape, and a lovely way to enjoy some time with your little ones. Go see it while you can! PS – If you have a minute, go have a read of this lovely review by Holly at It’s a Mummy’s Life: “In the, franky, surreal Night Garden“. 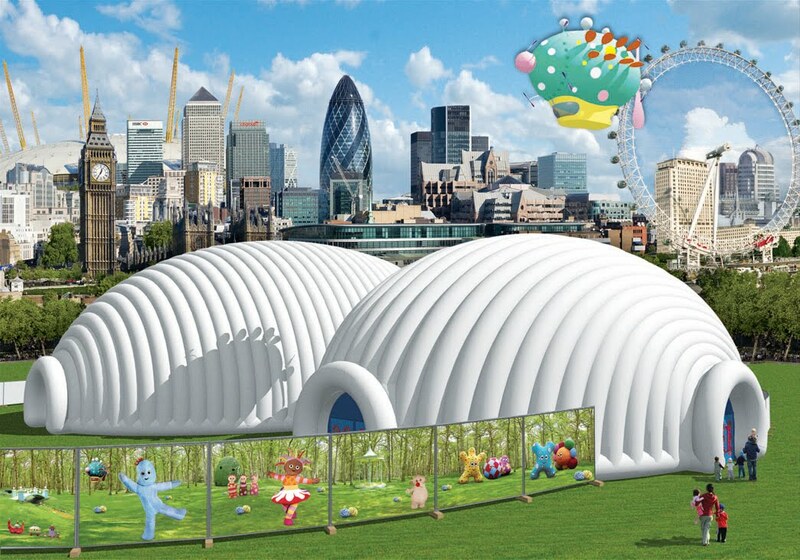 In The Night Garden LIVE – charging babies the full 20 quid! Join the facebook group in protest..